The massive popularity of mobile apps encourages many businesses to develop innovative applications by targeting popular mobile platforms. But users now have option to choose from millions of mobile apps available in different app stores. So it becomes essential for the business to focus on the app’s quality and user experience to get higher returns. However, the enterprises require testers to test all aspects of the application within a shorter amount of time to reduce time to market. 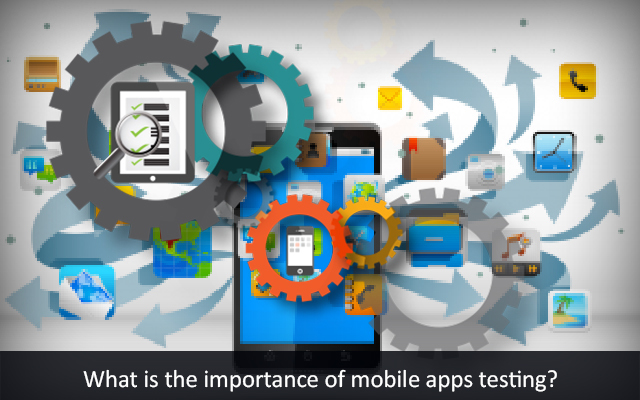 Many businesses automate their mobile application testing efforts to help testers to complete all tests without putting any extra time and effort. However, each business has to address a number of key challenges to automate their mobile application testing efforts effectively. Each mobile app needs to deliver quality user experience across a wide variety of devices. Often developers find it easier for test the iOS and Windows Phone apps as these platforms power only specific devices. But Android apps need to run on various models of smartphones, tablets and phablets. 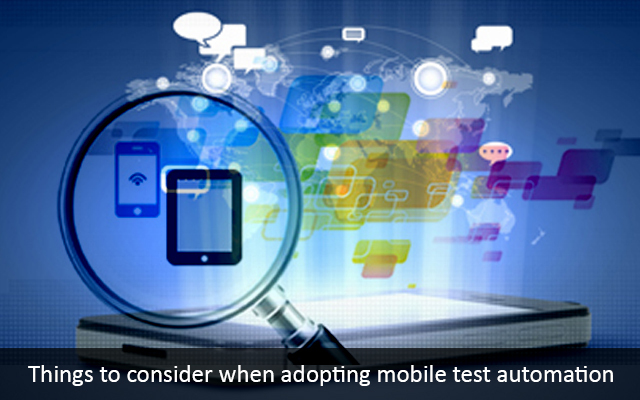 So the test automation must clearly define the targeted devices to make it easier for QA professionals to perform the tests. However, a business cannot invest in a large number of mobile devices. That is why, it is important for the project manager to pick some of the commonly used mobile devices, and use simulators to cover the rest. Each business has option to choose from a large number of mobile app testing tools and frameworks. Some of these tools are commercial, whereas others are open source and free. That is why; enterprises often find it challenging to pick the right software. It is always important for businesses to explore ways to reduce project overheads by using open source testing tools and solutions. But the open source tools do not provide IDEs that can be used for designing, executing, refactoring and maintaining tests. So it becomes essential for businesses to invest in commercial testing tools. To address the challenge, the business must spend some time in assessing the pros and cons of each tool according to the needs of the project. The evaluation will help it to pick the right software without spending a lot of money. Unlike conventional software applications, mobile apps are used in a variety of environments. The performance and user experience of an app will differ according to the connection. For instance, a user may access the mobile app with a number of internet connections like Wi-Fi, 2G, 3G and 4G. The performance of the app will vary according to user’s internet connectivity. That is why; the testers need to assess the functionality and performance of the app across many environments. At the same time, they also need to identify the bottlenecks affecting the app’s performance in individual environments. The business has to invest additional funds to emulate the probable environments for testing purpose. So it needs to identify the common factors that affect the app’s performance in various environments. The testers can use tools to assess the application’s performance based on these common parameters. While automating their mobile application testing efforts, many enterprises opt for data-driven automation. The automation technique enables testers to process a large number of business requirements within a shorter amount of time. For instance, data driven automation will help testers to check if the app displays appropriate error message for specific input submitted by the users. The business can simplify date-driven automation by asking testers to list the minor business requirements to be tested in a spreadsheet, and execute the test script to assess these requirements sequentially. The test script will gather business requirements from the spreadsheet and execute the tests in sequence. The testers can further enhance the scope of the test strategy simply by increasing the number of rows in the spreadsheet. 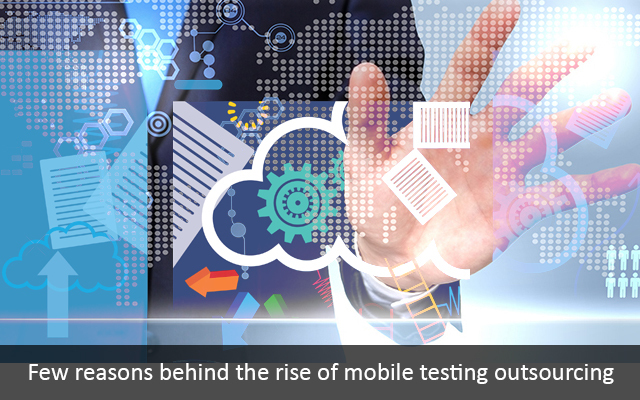 However, no business can automate all its mobile application testing efforts. The test automation tools cannot assess the application’s user experience accurately. As the app’s user experience will have a direct impact on its popularity, specific tests have to be conducted manually. That is why; the business must identify the tests that can be automated effectively to address the key challenges in an easier way. This entry was posted in mobile automation testing, Uncategorized and tagged automated test exicution, automation software tesing, automation testing, automation testing company, automation testing team, experts in software testing, mobile automation testing, mobile test automation, mobile testing services, types of software testing. Mobile devices are gaining importance rapidly and more and more people are switching to smart phones as a gateway to internet. As the generation is advancing, they are becoming completely dependent on the smart phones. Also with passing days, more and more applications are being developed and launched for public usage. 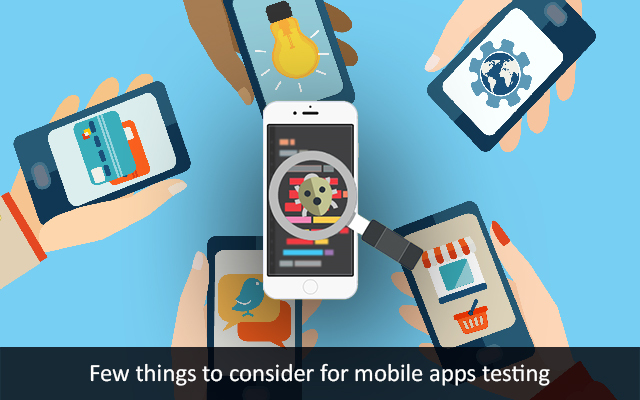 This makes mobile app testing an important branch of software testing industry. However, certain things are to be kept in mind while testing the mobile apps. Selection of the Devices: The first and foremost job that you need to get done before testing the mobile application is to conduct a market survey that will give you a fair idea about the trending devices and you will have to test the mobile application keeping the construction of the device as most of your customers will be utilizing the same device to access you app. Compatibility of the device with your app has to be super smooth. Operating Systems: The next thing to be considered is the operating system on which the device is running. You have to test the compatibility and performance of your app on the said operating systems. The advancement of the technology has presented us with various operating systems and you have to test you app with them. Emulators: Emulators help to save time and money on the initial stages of app testing and helps in easy detection of bugs and flaws of the mobile app you are testing. This will lead to lesser complications. Make sure you are choosing the correct emulators for testing your mobile app. Browser Compatibility: While you are testing your mobile app for various defects, make sure to check the compatibility of the same in the various major browsers that may be used to access your app. The customers may choose any one of those browsers to use your app and hence it has to work smoothly on all of them. The following questions may help you to strategize a good software testing procedure for the mobile application you are developing. It will detect the major issues and bugs so that it can be rectified to provide the customers with a more satisfactory end product. Is the installation procedure smooth enough for all existing devices? How easily can a user uninstall your application if needed? How well does your app work in case of poor or no network situations? Does your application allow proper display of features like logo, name, splash screen, etc.? How fast does your app start or restart? Does your mobile app affect the performance of the device or other apps? Are exit modes such as End key or Exit options etc. applicable for exiting your mobile app? Does your application allow phone calls or messages while it is launched? Is the application crashing after a phone call or message notification or prolonged use? Does it provide low battery notifications? Does the GUI you are using include colour scheme, theme, menu, font colour font style etc. compatible with all the devices/browsers? Is your application safe on security front? We hope that these few tips will help you to make a good plan to test your mobile app to make it better and more compatible. This entry was posted in mobile app testing, mobile automation testing and tagged hire mobile app testers, mobile app testing, mobile automation testing, mobile device testing, mobile testing services.